It should be “quiet” not “quite”. Becky has so-far survived the Zombie Apocalypse but when three men spot her walking alone, they decide to capture and take advantage of her. Since Becky is no match for the three men in a physical altercation, Becky must use her intelligence and cunning to escape with her innocence intact. Becky was separated from her husband Joe and they made plans to meet in a certain place on New Year’s Eve. But is he still alive? Or will Becky have to survive the Zombie Apocalypse all alone? Anthony Renfro lives in Apex, North Carolina. He is a reader, writer, runner, husband, father, and stay at home dad – one of the toughest jobs anyone could ever do. He was born in Bristol, Tennessee, and is a graduate of UNC-Greensboro. This novel is an amazing work of historical fiction. I have read many fiction and non-fiction books about Nazi Germany and most of them focus on Jewish people being hidden and trying to stay alive long enough for the war to come to an end. This book is not that at all. In fact, this book actually takes into account how ordinary German citizens also suffered under Hitler’s Third Reich. I liked the fact that this book actually tells the story from several different perspectives. It also illustrates how people of different ethnicities, different backgrounds, different religions and even from varying socioeconomic backgrounds all became inextricably linked to one another during the Holocaust. This story is based on actual events and it is a heart-breaking and gripping read. I was drawn into the story and read it in its entirety in only 24 hours. This is the second book in a series and I am definitely interested in reading the next novel. The only negative comments I have about YOU ARE MY SUNSHINE: A HOLOCAUST NOVEL would be the fact that there are a multitude of editing and proof-reading errors. These errors take away from the enjoyment of the story and I find them very distracting. – Since Hitler is only one person, it should say “voice” rather than “voices”. – Obviously there are multiple errors in the above paragraph, including one sentence that repeats the word “before” twice. – There are so many other errors that it is impossible for me to list even a portion of them. There are misspelled words. Words with letters missing (such as “llies” where it should say “Allies”) and many instances where words are written twice. Roberta Kagan’s ancestors experienced Nazi cruelty first hand and both of her grandparents lost their entire extended families to the Third Reich. She has written many historical fiction novels. This book is was being offered free of charge on Amazon just before Christmas. It’s four days before Christmas, and Mike Beem has put up a Christmas display in honour of the upcoming holiday. When a zombie picks up Rudolph, Mike is annoyed. “You see, the biggest problem was this. When you messed with Rudolph, you screwed up the whole display.” When the zombie walks away carrying (and trying to eat) Rudolph, Mike has no choice but to shoot it in the head to save his holiday display. Well, you will need to read A ZOMBIE CHRISTMAS to find out the answer. 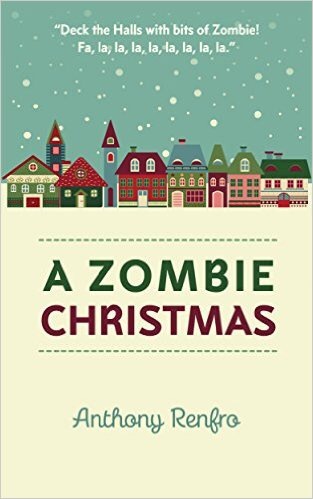 The fact that this book is only 54 pages in length and is currently being offered free on Amazon makes downloading and reading A ZOMBIE CHRISTMAS a complete “no-brainer” (pun intended). This book also contains a bonus short story entitled “A Vampire at Christmas”. I enjoyed this short tale and the only flaw I saw was that there were a few editing and/or proof-reading errors. It just goes to show that even in extreme circumstances, such as a Zombie Apocalypse, people’s desires to help others and Christmas spirit will still prevail. Click here to discover more twisted tales by this author. ~ I received a free copy of this book from the publisher. A review was not required, but it is appreciated. Wow! According to the publisher, this book is aimed at Middle Grade readers (ages 10-14) but I can easily see older young adult and adult readers absolutely loving this book, much as I did. 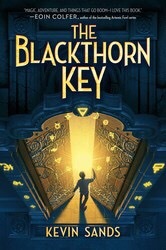 I feel compelled to compare “The Blackthorn Key” to the Harry Potter series for a couple reasons. First, this book does not cater to kids of a lesser intelligence, nor does it patronize its readers. This book is aimed at articulate and intelligent readers who want a complex story with multiple plot twists and a smart but still likeable protagonist. Secondly, the lead character (Christopher Rowe) is extremely loyal and has a highly developed sense of right and wrong. Christopher has to make many choices throughout the book and he rarely jumps and makes rash decisions. When he needs to make a choice his sense of morality and loyalty to his master are factored into his decisions. I love the choice of time and location, as well as the choice of apothecaries as central to the plot. Kids reading this book may not realize it, but they are being educated at the same time as they are being entertained. There is a King, a cult, baker’s and their sons with hidden talents (especially with rolling pins). There are orphans, beggars, noblemen and women. There are crazy people who talk to ghosts, corrupt officials, true friends, bitter enemies and even assassins. This book has it all. If you want a book that will both challenge and delight you, look no further than THE BLACKTHORN KEY. This book (if it isn’t already) is sure to make the bestseller lists. Christopher Rowe’s name may even come to be known on the same level as that of “Harry Potter” and Christopher’s friend Tom is the “Ron Weasley” of this historical world. I am hoping that the author plans to continue this series with many more tales of mystery, alchemy and adventure. I know I will be keeping my eye out for absolutely anything else that writer Kevin Sands publishes. It is hard for me to believe that this book is Kevin Sand’s debut novel. I am proud of the fact that this Canadian author has burst onto the literary scene with such a polished and professional work of fiction. This book needs to be on everyone’s MUST READ list. If you fail to buy this book you will definitely be missing out on an exquisitely crafted book. This audiobook was written by the author late in life and published by his son, Jonathan. 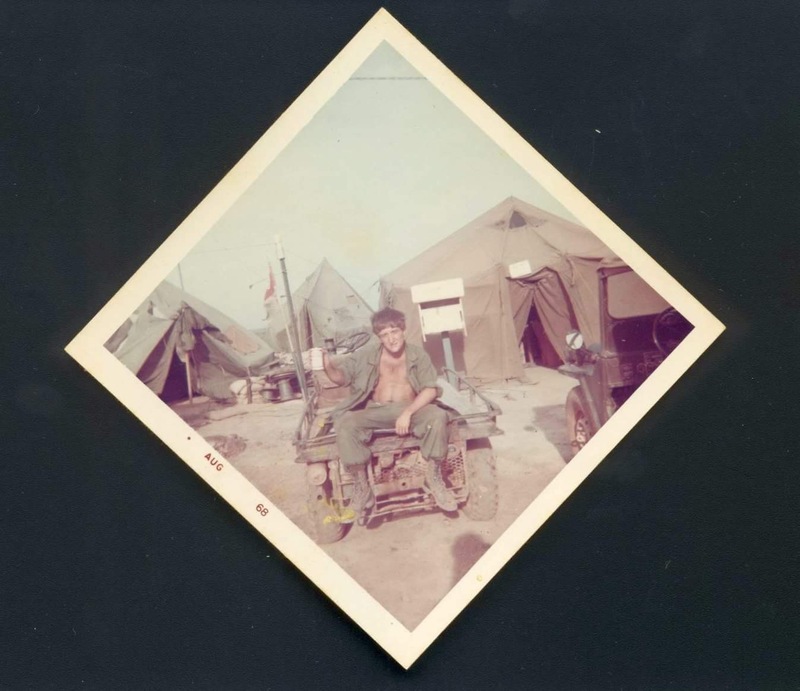 When Stan returned from Vietnam, he chose to not speak of or even think of, his experiences during the Vietnam War. In fact, he was so adamant in his avoidance of the topic that he even avoided all movies and books on the subject. Because of this, BENEATH THE BAMBOO may have some flaws. The author is not a historian nor is he a professional writer. 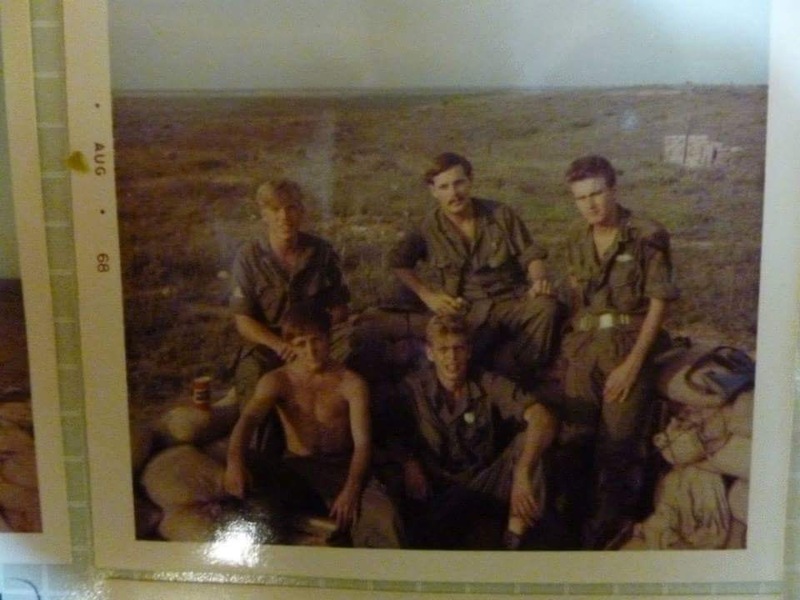 He is just an average guy who survived some not-so-average experiences after fighting in the Vietnam War. I actually found this audiobook fascinating. I liked the fact that it was not the story of some famous battle or told by a famous soldier. Because it was told by a regular guy and not a career soldier, I found that I could more easily relate to the story. 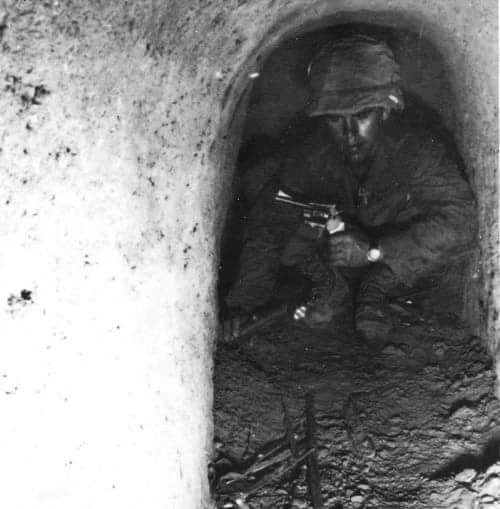 This audiobook conveyed the horror and dangerousness of the vast network of Vietcong tunnels that the infantry had to contend with. 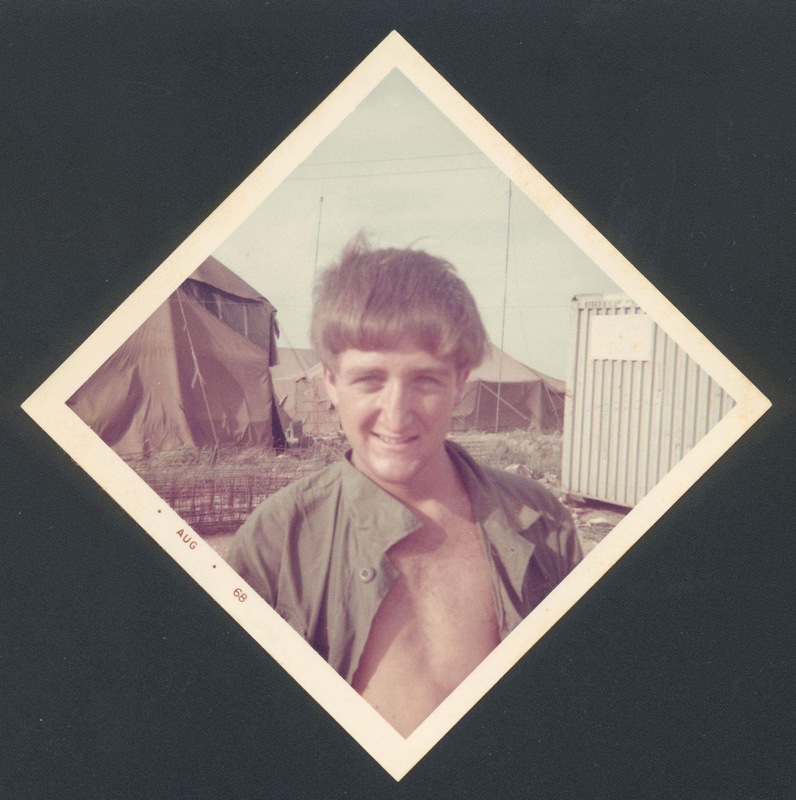 I read some of the other reviews of this book and saw that some negative comments were made regarding inconsistencies with what other Vietnam War veterans experienced. I have to point out that this book was written by Stan Jones’ son and not by Stan himself. It is for that reason that I am fully willing to forgive and forget about these errors. Any memoir, especially one written by a non-professional writer will contain “errors”. We must also take into account that people’s memories are fallible at the best of times and it is to be expected that a memoir written about events that took place around 50 years ago will not be completely accurate. 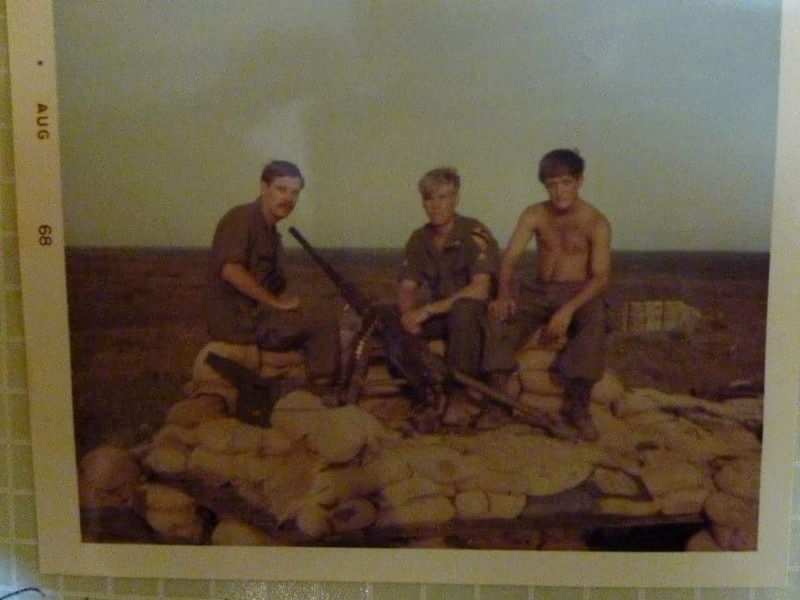 The story is about how the Vietnam War turned a boy into a man in a very short amount of time. 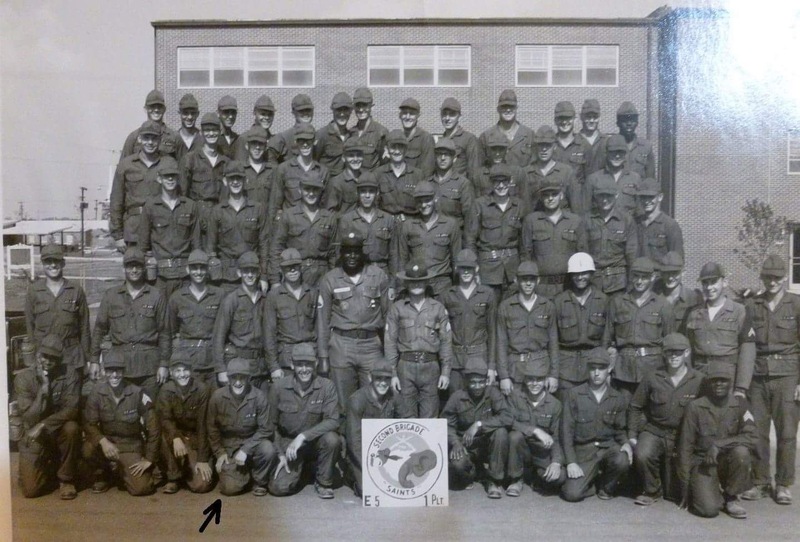 I think this is an important story and one that needs to be told and retold so that no one ever forgets about the Vietnam War and the soldiers who fought and died during it. Check out the official webpage of BENEATH THE BAMBOO and also visit the Facebook page. ~ I received a free paperback copy of this book from the author in exchange for an honest review. A science experiment to teleport an item from one city to another has unexpected consequences. A portal to Hell has been opened and demons and other creatures of darkness pour through the opening and into the world of mankind. The fate of humanity rests in the hands of an unlikely trio: a witch, a priest who has lost his faith and a reluctant psychic who drinks to drown out the voices in his head. There are a multitude of things I love about Tony Bowman’s books. 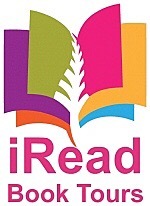 First & foremost is the fact that they are literally impossible to put down once you start reading. If you did not know, this book is over 500 pages long. To keep the reader of such a huge story engaged (in fact, entranced) during such a massive story is an amazing feat. There are only a few days left until New Year’s Eve and I have a ton of things I need to do. So, on my only day off what did I do? Did I get any of my tasks completed? Or even started? NOPE! 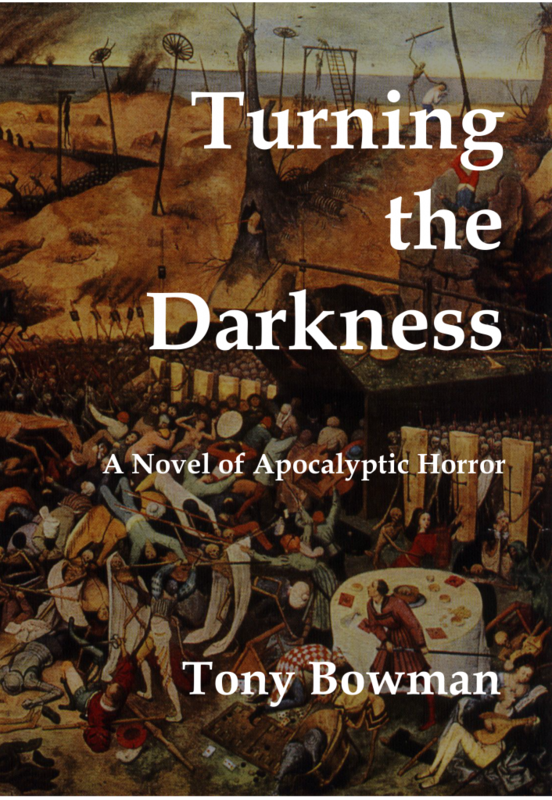 I picked up TURNING THE DARKNESS and spent the entire day immersed in Tony Bowman’s imagination. And I do not regret a single minute! Tony Bowman may not yet be a household name, but his stories deserve any and all attention they can get. I have little doubt that if Tony’s work gets discovered by the right person, he will become a bestselling author. So, now is the time to get your hands on a copy of his books, before they sell out everywhere. You will not regret it! I am 100% convinced that Tony Bowman’s book need to be added to everyone’s TBR (To Be Read) list. Have I gotten through to those of you reading this review? I hope so. Where else can you read a story filled with demons, witches, vampires, werewolves, priests, militia, ghouls and God and actually feel that the story is completely plausible? That is no easy task, yet this book is exactly that. Search Tony Bowman on my blog to read reviews of his other books. Tony Bowman is the author of four full-length novels as well as many short stories. His short story collection entitled “Morgue Dreams and Curiouser Things” is an amazingly well written collection of seventeen short horror stories. Tony currently lives in North Carolina with his wife, Laurie, his daughter, Sara and a hundred pound Catahoula Leopard dog. Above is the first paragraph of the book. D.M. Annechino has done it again. He has immediately grabbed my attention and piqued my curiosity. Who is she and what did she do to this man? And, knowing what type of book this is, I instantly started to speculate as to what horrendous crime this once respectable and well-liked man would commit. Detective Sami Rizzo is now married to Al and they have a three year old son. Sami’s daughter, Angelina, is now eight years old. One aspect of the Sami and Al romance storyline that drives me crazy is that in RESUSCITATION Al slept with a nurse while visiting his comatose sister in Brazil. Sami and Al were living together at the time, but were not yet married. Sami obviously forgives Al, but I don’t know how anyone could ever forgive a cheater. The circumstances were extraordinary, but to my mind that does not matter at all. I have a hard time believing that Sami would be able to ever trust him again and no marriage can survive without trust. However, all of that is obviously my own opinions on the subject and some women are able to be much more forgiving than I could ever be. Author D.M. Annechino has a knack for getting inside the heads of seemingly “normal” people who through extraordinary circumstances have been pushed into ‘snapping’ and A PIECE OF YOU proves this. The story begins quickly and the pace never lets up. Once again D.M. Annechino has created a taut thrill ride that will sweep readers along and keep them enthralled from the first page to the last. I have quickly become a fan of The Detective Sami Rizzo series and of author D.M. Annechino. “It seemed to Al that society had become so super sensitive about everything from religion to ethnicity you had to walk on eggshells every time you opened your mouth for fear you would offend someone. Years ago if you lived on the streets, you were a bum, plain and simple, then some do-gooder decided that bums should be called ‘homeless people’. Most recently the term had become ‘financially disadvantaged’. His second book, Resuscitation (Thomas & Mercer 2011), a follow-up to his first novel, hit #1 in Kindle sales in the UK and reached #26 in the USA. He is also the author of I Do Solemnly Swear (Thomas & Mercer 2012) and Hypocrisy. A Piece of You is his fifth novel, the third in the Detective Sami Rizzo series. A native of New York, Annechino now lives in San Diego with his wife, Jennifer. He loves to cook, enjoys a glass of vintage wine, and spends lots of leisure time on the warm beaches of Southern California.